NO. 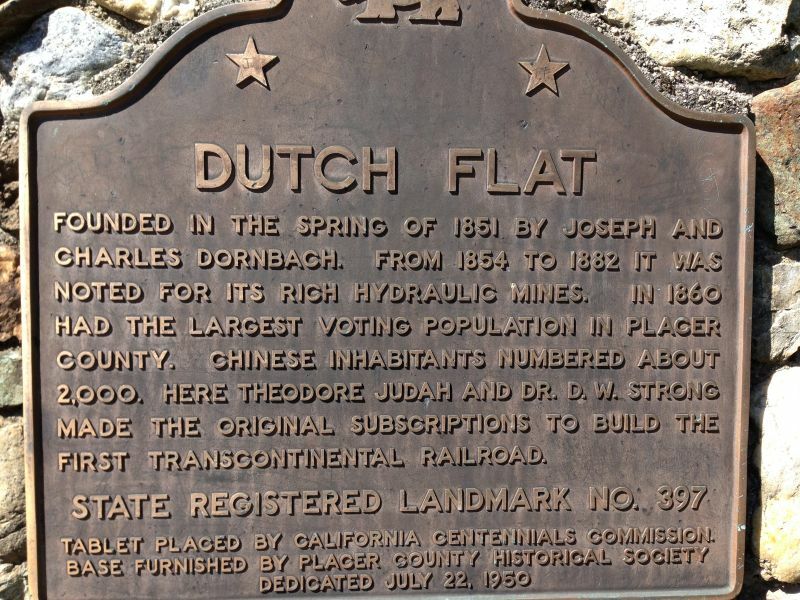 397 TOWN OF DUTCH FLAT - Founded in the spring of 1851 by Joseph and Charles Dornback, from 1854 to 1882 Dutch Flat was noted for its rich hydraulic mines. 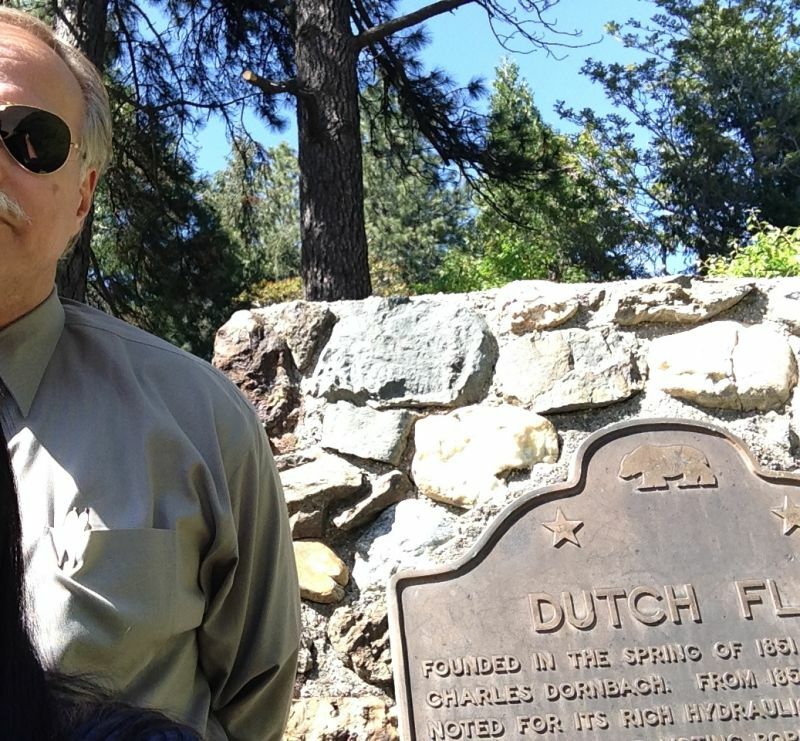 In 1860 it had the largest voting population in Placer County, Chinese inhabitants numbered about 2,000. Here Theodore Judah and D. W. Strong made the original subscription to build the first transcontinental railroad.